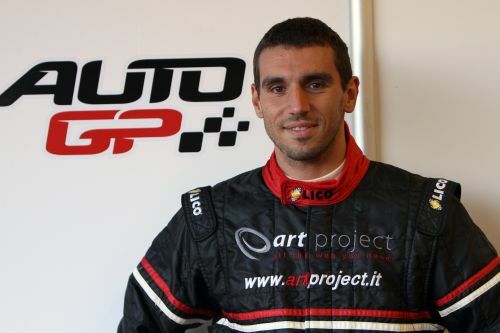 02.11.2011: The start of the 2012 season is still far away, but there’s a new entry already for Auto GP: it’s MLR71, a new team founded by Italian businessman Michele La Rosa purposedly to enter the Series. The start of the 2012 season is still far away, but there’s a new entry already for Auto GP: it’s MLR71, a new team founded by Italian businessman Michele La Rosa purposedly to enter the Series. Despite being a “newborn”, MLR71 has some very ambitious plans: the team aims to field three cars on the grid for next season, a choice that proved to be a successful one already for teams like DAMS and Campos Racing. The team’s ambition will be supported by a top-notch technical staff led by Franco Sighinolfi, a technical director with broad experience in both single-seaters and Sportscars. The team first official commitment will happen as early as tomorrow, as the outfit will take part in the Magione testing sessions with two cars and four drivers. One car will be driven by La Rosa himself and by Giacomo Ricci, who was called to provide a good technical feedback thanks to his GP2 experience. On the other car, driving duties will be shared between Sergio Campana, the 2011 Italian F3 Champion, and Raffaele Marciello, a driver chosen by Ferrari for their Driver Academy program. Enzo Coloni: “We are happy to see that the interest in the Championship keeps growing, and having teams ready to commit for 2012 just a few weeks after the end of our season is a further proof of that. When the MLR71 guys met us to show their plan we felt that they had what’s needed to compete in Auto GP, and the way they pushed hard to be testing already in Magione with the other teams clearly shows how focused and determined they are”. Michele La Rosa: “Presenting the team already in the Magione collective test was a real challenge but it was really important for us, also to start preparing ourselves for next season in the best possible way. This first test, together with other testing days that we are planning, will be useful to gather as much experience as possible and start the 2012 season on a par with the other outfits. We know it won’t be easy because the level is very high, but we will work as hard as we can”.